Last night I ended my long work day with a Wizards game and it was 80’so night. Before the arena opened I watched the Wizard Girls practiced. The night started out a little slow but that’s usual then it picked up but then my night was made when Caleb Green who usually sings the national anthem for Caps game came and sang last night. Later during the game he came by the PWC CLUB to give hugs and that was so needed. For me it’s the little things in life that make my day. Of course the in-house announcer’s Gia Peppers & Rodney kept every ones spirits on high. I liked the 80’s night the DJ played songs from Tears For Fear to Rick James and of course I had to dance. 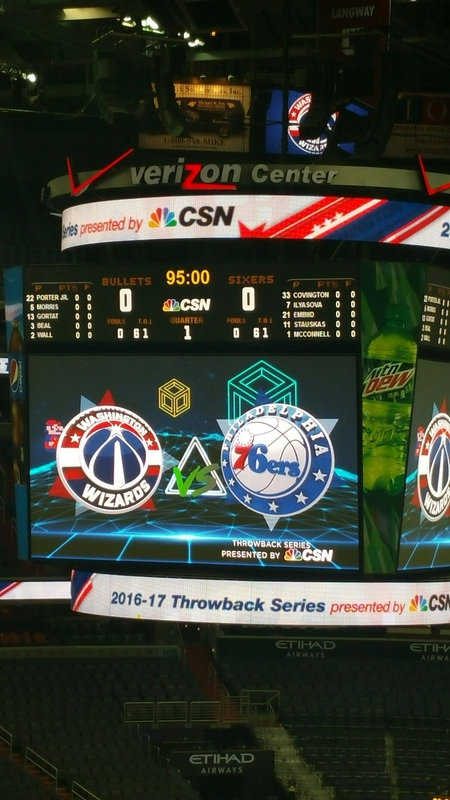 The Wizards beat the Sixers but I’m not sure what the score was. And today I work the Caps vs Flyers game which will be a busy day for everyone at the Verizon Center. 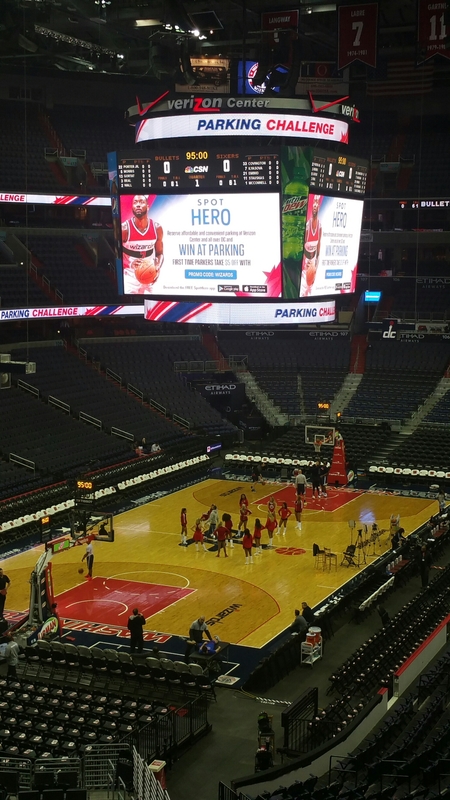 I already know that Flyer fans are already here because they were at the Wizards game last night. I look forward to seeing my Caps play. I will before I go into work do my praise dance to let the devil know my day will be awesome and my Caps will have a victory.